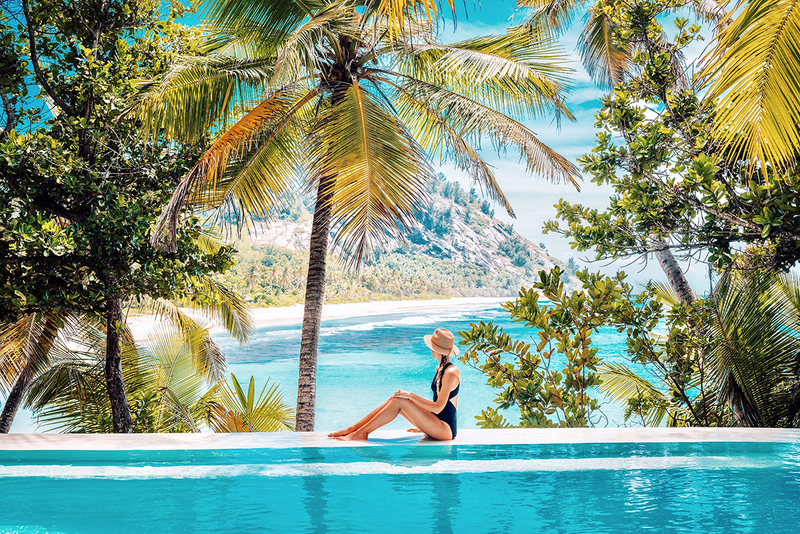 Europe’s Nº1 Luxury Travel Influencer Melanie Martins shares her daily routine for success and ways to deal with procrastination. Melanie Martins shares her daily routine for success and ways to deal with procrastination. Traveling and jumping in the adventure of the Unknown, of course! First and foremost I love what I do and everyday is different: sometimes I travel very far away for 1 month and a half like my Odyssey in French Polynesia where we spent over 25 days sailing across the Pacific Ocean visiting Islands that were so remote they didn’t even have airport or a proper Port, these adventures allow us to meet incredible and inspiring people all over the world that become family! When your work is your passion, waking up everyday is a blessing! 2. What’s your secret life hack? I believe it’s the self-disciple: you have no one to tell you to go to work. You are the only one who must be focused, motivated and self-disciplined enough to get up every morning and fight for the life you want to live. This can be very frustrating: some bloggers/influencers when they start making some good money, become lazy, arrogant, and pretentious, spend it all making debts and getting into financial problems or other addictions. Being down to Earth, humble, thankful, self-disciplined, and focused are just some of the key aspects to any entrepreneur who wants to not only become successful but stay successful. 3. Name a book that changed your life. A classic that I read when I was 18 and definitely changed my life for better: “Rich Dad Poor Dad” from Kiyosaki. Anyone should read this book! 4. Tell us about your relationship with your phone. Does it sleep with you? Unfortunately yes. It does. As an entrepreneur I feel better when I have my phone next to me so I can wake up and check my emails and messages to see if there is anything urgent. Most of the time I even text in bed. 5. How do you deal with email? I reply to the simplest and less life-changing ones first. It’s usually a brief 1 paragraph e-mail. Then, those who require more thinking and elaboration the next day so I can sleep over the subject. When I receive a negative e-mail that makes me angry, I never reply the same day. I always sleep over it and the next day I have much more clarity to reply. 6. You unexpectedly find 15 minutes in your day, what do you do with it? I text or call my mom to tell her how much she meant to me. Since we live in different countries and I travel quite often we barely see each other, without exaggeration, I might see her something like 2-3 times a year. So any moment I have free, I will definitely talk to her. 7. When was the last time you felt burned out and why? When I launched my online store MelanieMartinsPresets.com and the Brazilian one melaniemartinspresets.com.br – we had to deal with thousands of issues before bringing this project to life from our payment processor declining sales, translations, to high bouncing rates, low page speed loading, etc. It was quite challenging to fix it all on the shortest time possible. 8. When was the last time you felt you failed and how did you overcome it? For me the true meaning of failing is giving up. If you didn’t give up, then you didn’t fail. We always learn something in anything we do. In the ventures I have started, from my blog to my social media channels, I might have taken wrong decisions or received a lot of “no” but I never considered it failure. If in 100 no you get 1 yes, then it is a success. The world will only remember your successes, not your failures. Failing is only when you give up on your dreams.